Odisha Chief Minister Naveen Patnaik today constituted a three-member ministerial committee to oversee the rescue and relief operation in three worst flood-affected districts. BHUBANESWAR: Odisha government today sought the help of Navy helicopter as incessant rains triggered by Cyclone "Titli" caused severe floods in Ganjam, Gajapati and Rayagada district in South Odisha. The committee consisted of Revenue and Disaster Management Minister Maheswar Mohanty, Water Resources Minister Niranjan Pujari and Energy Minister Sushant Singh will proceed to the flood-hit areas forthwith to monitor the relief and rescue operation. 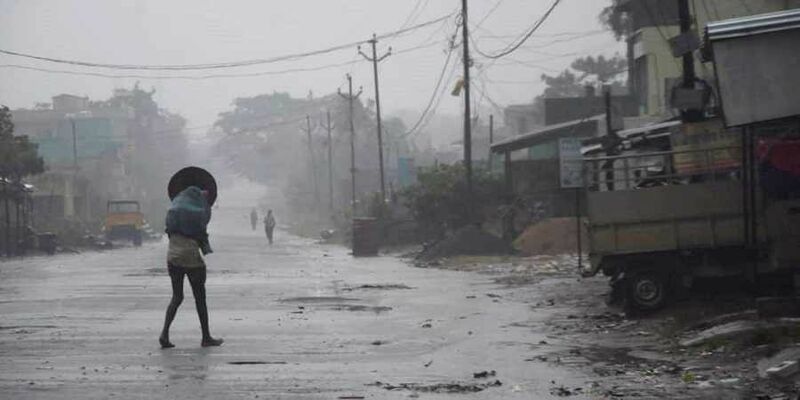 Odisha Chief Secretary A P Padhi said, Ganjam district was worst affected by the flood as the water level in almost all the rivers of the district was rising and several areas were marooned and cut off from the rest of the world. 'The authorities have deployed six NDRF teams in Ganjam, four in Gajapati and one team in Rayagada for the rescue and relief operation. The government has sought two Navy helicopters from Navy to undertake rescue operations in Aska and Purusottam area. The Chief Secretary said, road communication and power supply were affected badly and the government was giving emphasis to restore the road communication and power supply at the earliest.